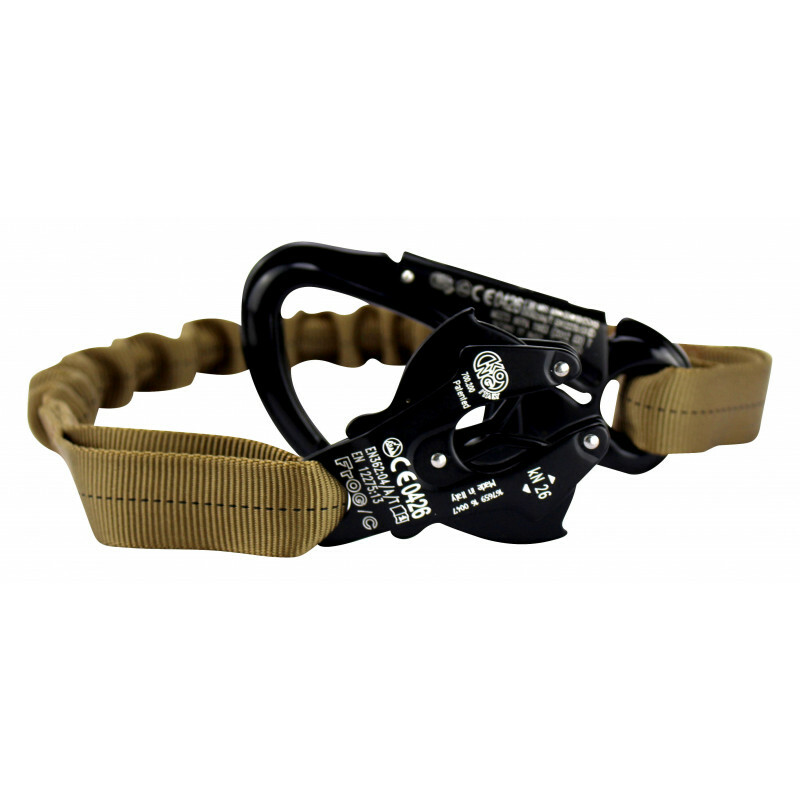 Fall protection with Kong karabiner. 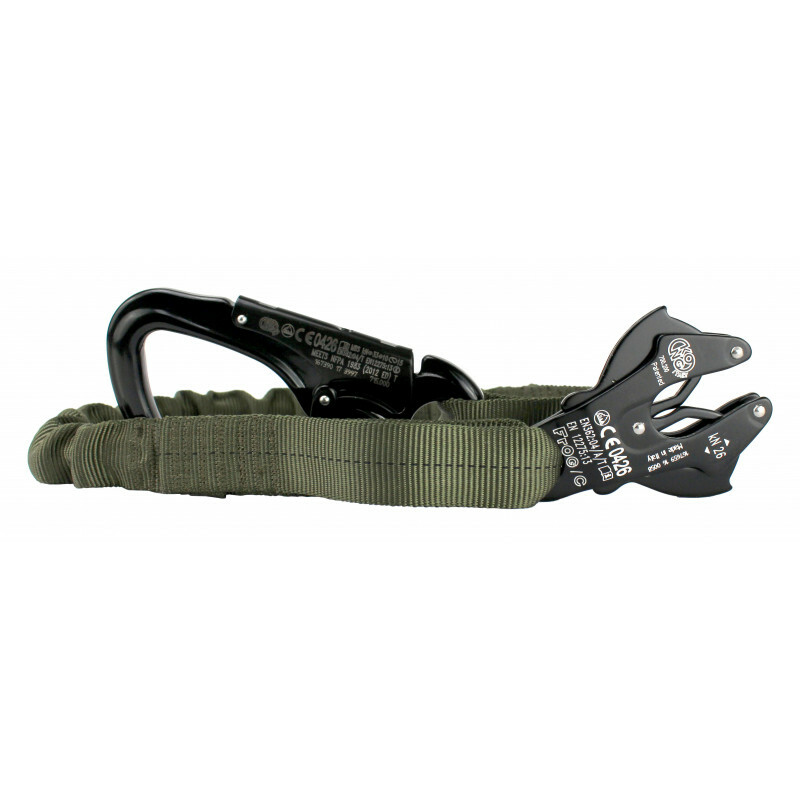 Perfectly combinable with all common rigger belts and abseiling harnesses. The elastic core, can be stretched up to 20cm. Mil-W-5625K Tubular webbing made in Germany with a maximum tensile load of 2000 kg. This safety rope is for personal fall protection on e.g. helicopters, ships or tall buildings. The Frog and Tango carabiner allows you to quickly attach or detach the lanyard and is also designed for one-handed operation. 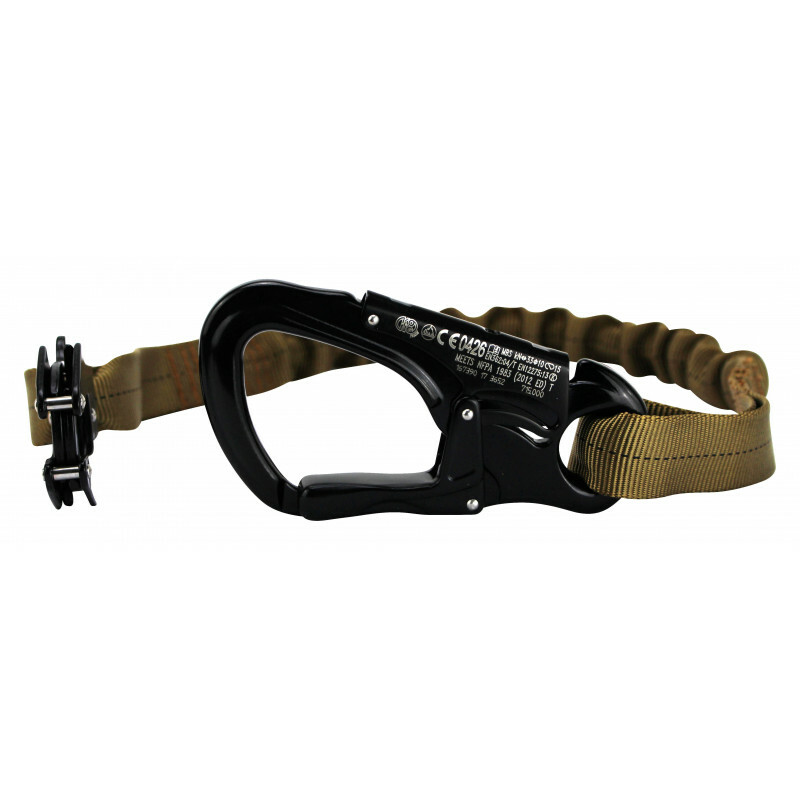 The construction of the Tango Karabiner offers a high degree of safety, as it can only be opened if the safety device is overridden by pressure. 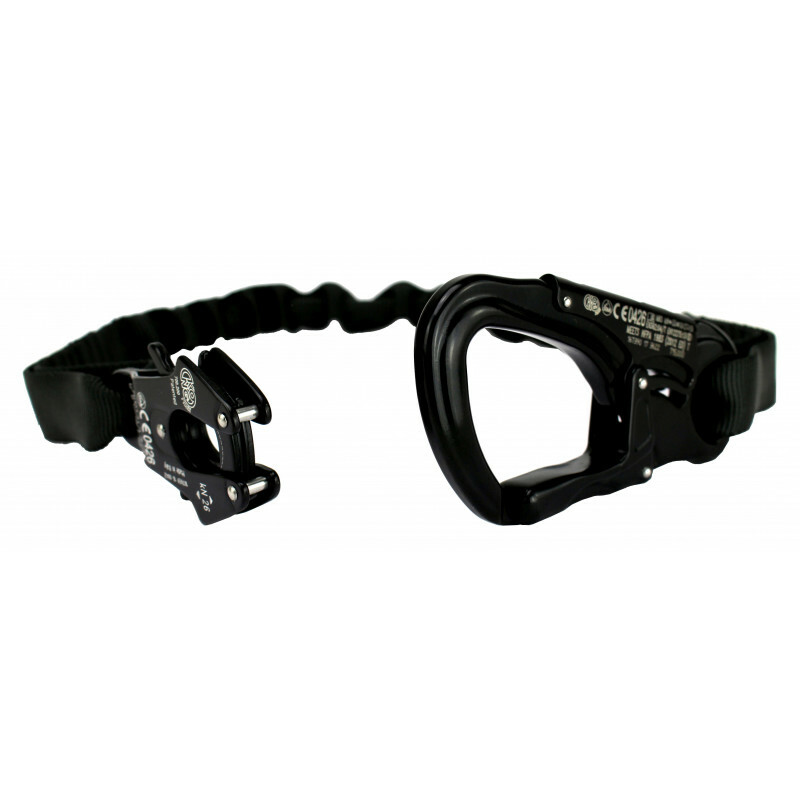 On the opposite side there is a fixed Frog karabiner, which can also be opened under load via a double safety device. 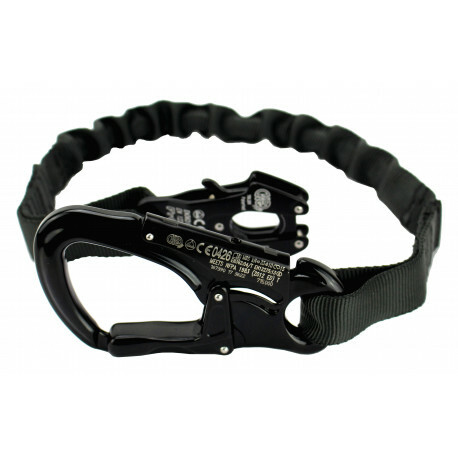 The Tango karabiner is equipped with a locking device against unintentional opening, in accordance with EN 362. 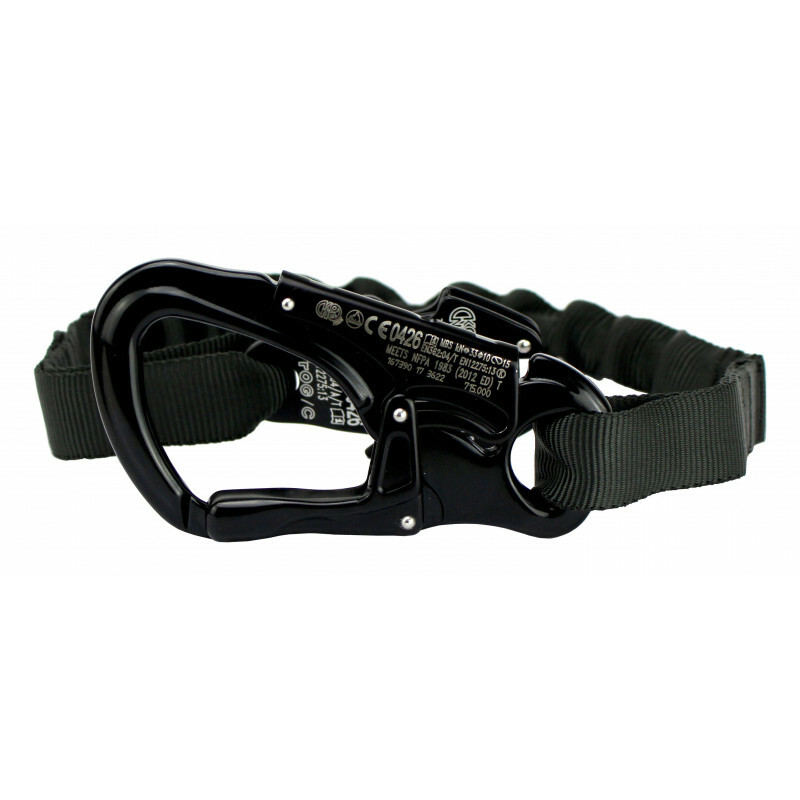 The safety device is overridden by pressure and the karabiner can be removed or moved. 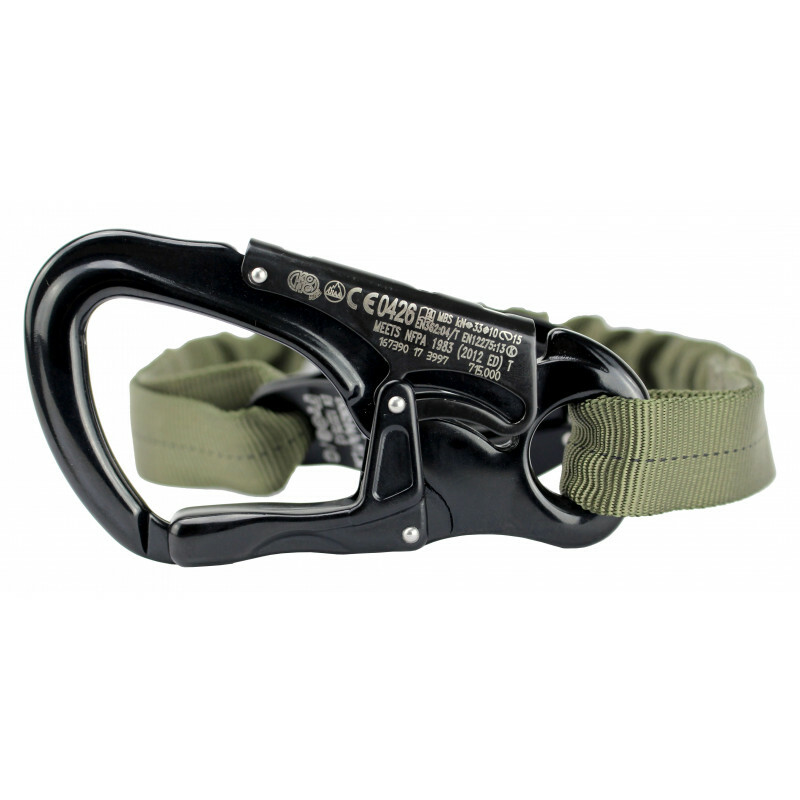 The karabiner has a breaking load of 33kN according to EN362-04 (personal protective equipment against falling - connecting elements) and is designed and certified according to DIN EN 12275 K (mountaineering equipment - karabiner - via ferrata karabiner (category K) for one-handed operation (CE and UIAA). The Frog karabiner is a special hook carabiner according to EN 362 category A and T which has a locking device against unintentional opening. 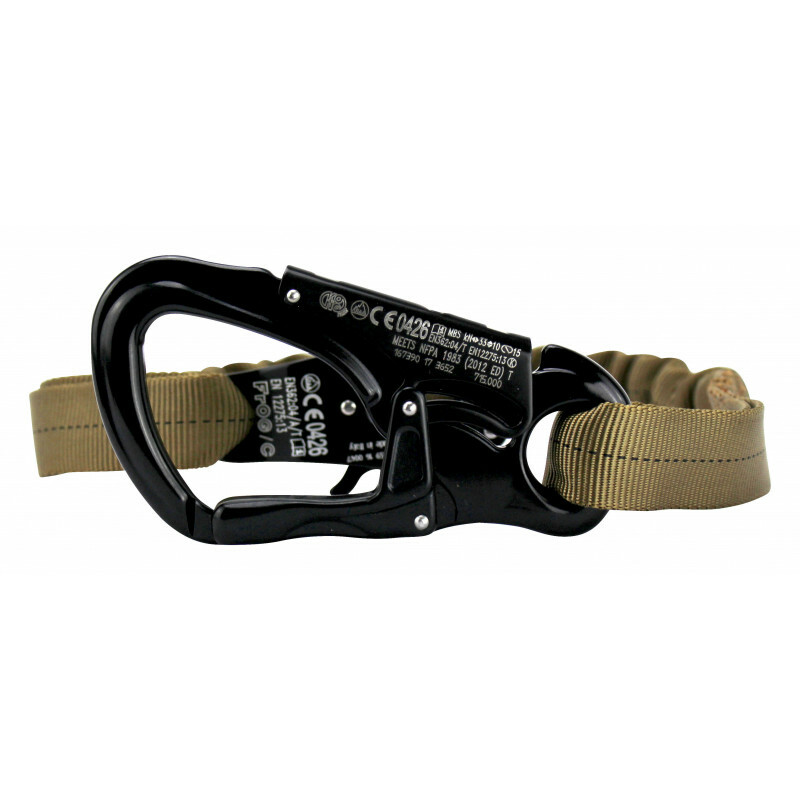 The Frog karabiner has an automatic lock and has a breaking load of 26 kN according to EN362-04 (personal protective equipment against falls from a height - connecting elements) and DIN EN 12275 (mountaineering equipment - karabiner - via ferrata karabiner designed and certified for one-handed operation (CE and UIAA). 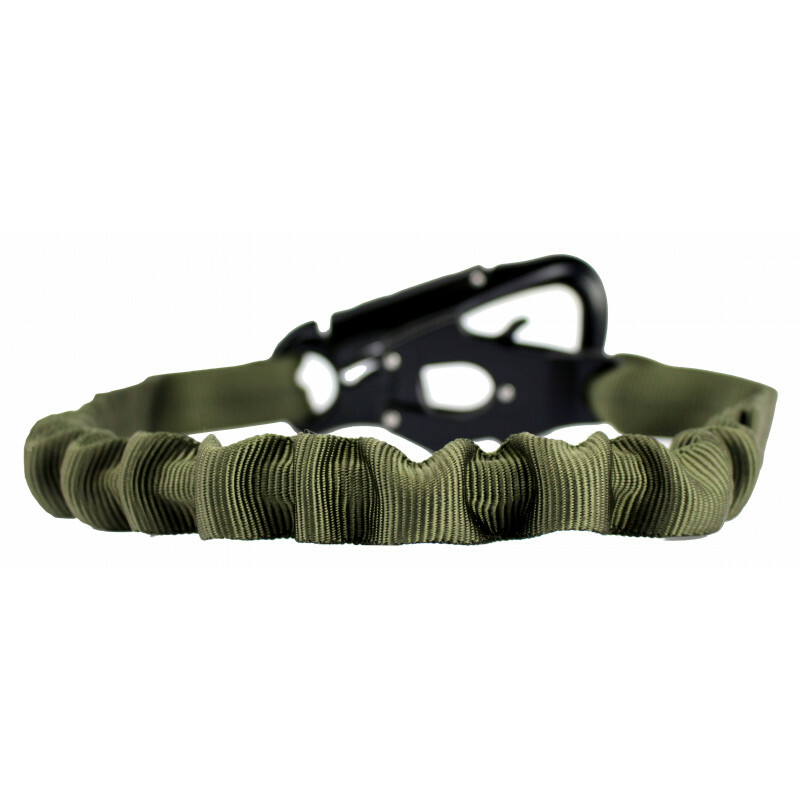 Like the Tango Lanyard and Frog Lanyars, the centerpiece consists of an elastic core and tubular band. In the normal condition the lanyard has a length of approx. 55 cm (the belt) and in the stretched condition on length of approx. 75 cm. The webbing at each end is equipped with 9 bolts. The tubular webbing is designed according to Milspec - Mil-W-5625K and is made in Germany with a maximum tensile load of 2000 kg.